So you’ve started a new business and now it’s time to get things moving. We’ve talked before about why it’s so hard to start a new business and some things you can do to get momentum going, but the core of the matter is how to get your first customers. A lot of people get confused about what it means to start a business – is it getting your logo designed, registering your business entity, printing your business cards, or going live with your new website? No! 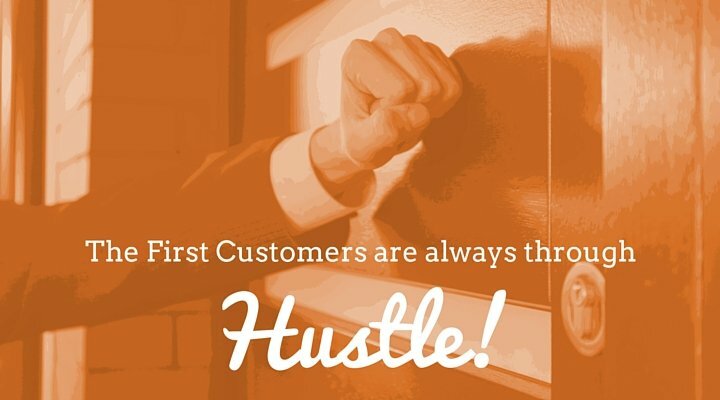 To have a business, you need customers – so finding your first customers needs to be your first priority. For some people this comes naturally, but for the rest of us, we need a bit of a push and some good tactics… which is why we’ve reached out to some experts for their advice. When you’re a new business and are looking for your first customers, start small: Make that phone call. Shake that hand. Visit that office. Talk to friends, acquaintances, former co-workers, employers, customers, suppliers, etc. If there’s really no one in your own network that could be a prospective customers, then ask your network if they know someone. Too many people underestimate and underutilize their own network, and instead try to come up with elaborate customer acquisition strategies. The best strategy when you’re starting out is to talk to people: Find out if they’d be a good fit, ask them if they want to buy. And if they say no, ask them why and learn from that feedback. Getting your first sale in business is an amazing feeling. The lead-up to that sale can be nerve-wracking and bring in moments of self-doubt, but that is something that happens to all of us and the nerves are a good thing as it means you believe in your product. 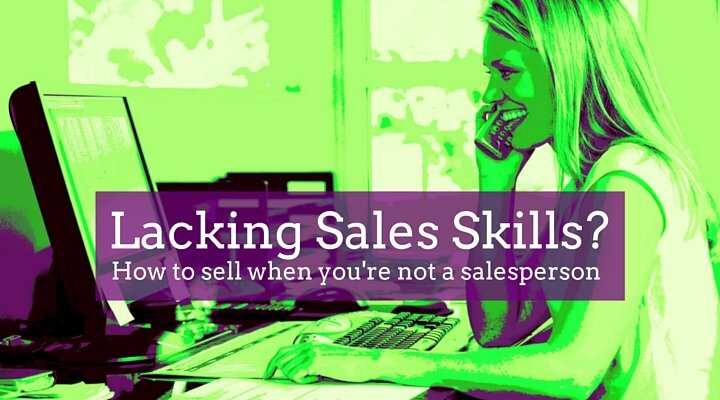 Sales take work and that means you will put in a lot of pitching and sales time over your business life to get your sale. 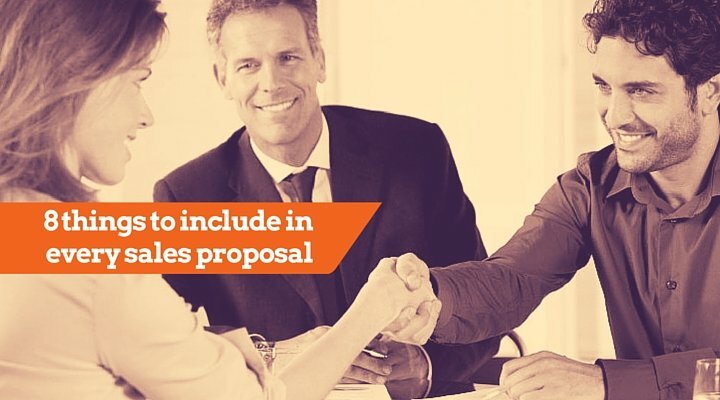 Sales is all about the person saying “I like you enough to buy from you”, so here a few techniques you can use to engage with your customer to create trust. The sneak peak: Offer your audience a peek at what is coming videos and photos of behind the scenes work well for this. Network: Network with your customers find where they hang out, answer their questions educate them so they will trust and buy from you. When I started Mixergy, I didn’t sell ads or anything for years. I thought I should focus on quality instead of revenue. Big mistake. I wish I could go back and undo it. What I’ve learned is that asking people for money is the best way to understand what they want, and the best way to improve the quality of what I create. So my best advice is to start charging as soon as possible. Getting your first few sales is the #1 business imperative once you have a general idea for the idea [of your business] and how it can be delivered. Many people think you need a whole product, program or book done before you can start selling it. The reality is, you just need to have enough clarity on what it is, who it benefits and how people will experience value to speak about it compellingly and generate interest. Let your initial customers get a discount and help advise on how to improve your product or service. I recommend you start cold pitching. Go on LinkedIn, search for potential clients (LinkedIn Sales Navigator makes this easier), and send them an invite and then a follow up message. Start with one per day. Then increase it. Keep doing this, and you will open up conversations. This is brief advice, but will work if you action it! It got me out of fear by talking to people and exploring me in the new environment as business owner and creator of my own destiny. I have an adage that I often use for new businesses … which is: more sales, less marketing. In brief, I love and know the value or marketing, but how do you know what to put on your website and collateral unless you deeply understand what your clients want and how they describe it. The other key issue is that if you define everything about your product or service BEFORE going to talk to the market, you could end up with the best mousetrap in the whole world, but find out that everyone has a cockroach problem. Click here for the framework that I use for those conversations. As you go out and have fun learning from the marketplace keep an eye and ear out for how people react and feel about the problem you are solving, the words they use and what they are interested in. Still wondering how to get your first customers? If you’re ready to really kick your business along and want to do it in an organised way, try our New Business Launch Plan (it’s free). With a clear business plan in place, you’ll know exactly what to do each day. I’m full of ideas, but I find putting them into action is hard. This, in particular, has helped me to go out and do it! ‘Many people think you need a whole product, program or book done before you can start selling it. The reality is, you just need to have enough clarity on what it is, who it benefits and how people will experience value to speak about it compellingly and generate interest.